Lola Coale Obituary - Rising Sun, Maryland - R.T. Foard Funeral Home, P.A. 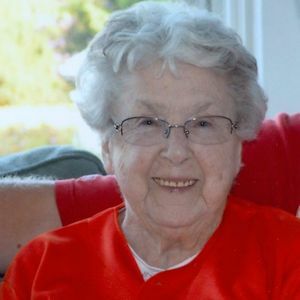 Lola Emily Coale, age 96 of Rising Sun, MD, passed away peacefully at home surrounded by her family on March 19, 2019. She was born the fourth child of six on May 18, 1922 in Rowlandsville, MD to the late Clyde and Nancy Pyle. Lola was a loving and strong mother, grandmother, and friend. She would always help others in need and would be first to lend a helping hand. Lola served her community by serving lunch to students at Rising Sun High School. She loved golfing, shopping, and watching Young and Restless and the Baltimore Orioles. Lola was a member of Chantilly Country Club and the Ladies Auxiliary of the Community Fire Department of Rising Sun. In her professional career, she was a switch board operator for the Cecil Farmers Telephone Company. Lola is survived by her son, Roy Nesbitt and his wife Marion of Conowingo, MD; daughter, Linda Turner and her husband John of Havre de Grace, MD; step son, Sam Coale and his wife Linda of Rising Sun, MD; granddaughter, Angela Stuart and her husband David of Rising Sun, MD; grandson, Kristopher Nesbitt and his wife Wendy of Conowingo, MD; granddaughter, Chyanna Turner of Havre de Grace, MD; granddaughter, Julia Turner of Havre de Grace, MD; granddaughter, Susan Coale Cole and her husband Mike of Conowingo, MD; and grandson, Steven Coale and his wife Kari of North East, MD. She is also survived by six great-grandchildren, Emily Stuart, Caroline Stuart, Jace Nesbitt, Joseph Nesbitt, Eva Carson and Hunter Cole; and many nieces and nephews. In addition to her parents, Lola is preceded in death by her husband, Harvey Coale and siblings, Moll McCardell, Luke Clark, Eff McMullen, Farney Pyle and Bud Pyle. A celebration of Lola Emily Coale's life will be held on Monday, March 25, 2019 at 12:00 pm at R.T. Foard Funeral Home, P.A., 111 South Queen Street, Rising Sun, MD 21911. Family and friends may begin the visitation at 10:00 am. Burial will follow at Brookview Cemetery. In lieu of flowers, memorial contributions may be made payable to "Amedisys Hospice" and sent in care of the funeral home, P.O. Box 248, Rising Sun, MD 21911. Add your thoughts, prayers or a condolence to Lola's guestbook. Please enhance this tribute to Lola by adding your memories and photos.